Springtime in Key West is nothing short of amazing. From exciting things to do in Key West Florida on the water to relaxing days of discovering new spring blooms throughout the island, a springtime vacation with The Paradise Inn is the perfect way to kick off the season of new life. Let the smells of the sweet ocean breezes fill your senses and soak in the colorful spring colors of Key West and discover the paradise of the Florida Keys this season. Though we experience warm temperatures all winter long, we still get excited about the changing of seasons. 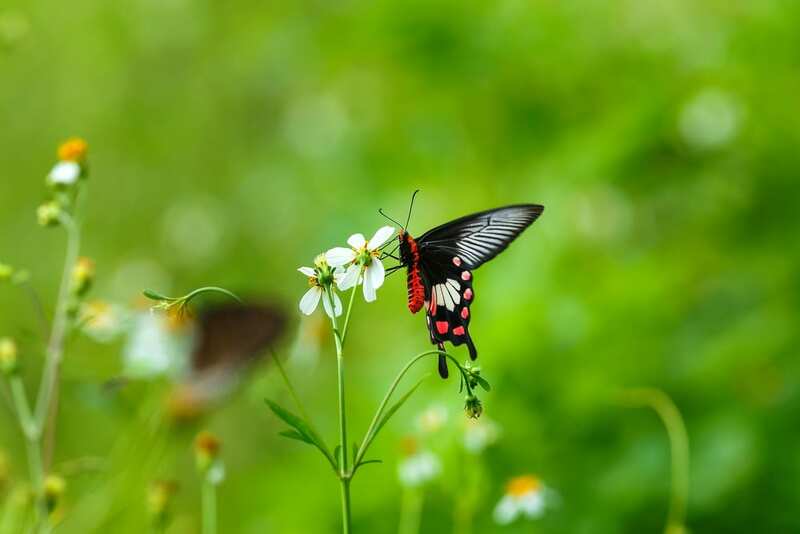 One of the best places to see the full effect of spring in Key West is at the Key West Butterfly and Nature Conservatory. Discover the newest additions to the bird families that reside here, watch as springtime blooms begin to open and dot the gardens with vibrant colors, and walk amongst hundreds of fluttering butterflies. Another fantastic way to get to know the paradise of Key West is the spring is heading out on the water with places like Lazy Dog. Paddle through the lush mangroves and soak in the blue-green waters surrounding the island. Mild weather offers beautiful days and afternoons to be out bobbing on the waves and relaxing on a kayaking or SUP adventure. One of the best aspects of spring is the array of things to do in Key West Florida nearby your Paradise Inn accommodations. Build an incredible sandcastle creation on the waterfront of Casa Marina with the professional sand sculptor, Marianne van den Broek. You can take part in a two to three-hour workshop with Sand-Isle Professional Sand Sculpting as Marianne guides you through the steps to turning a pile of sand into something spectacular. Spring also invites a myriad of exciting festivals and events. From Yoga festivals to grand music festivals, there is always something exciting taking place in Key West. Take part in local activities and get that last taste the best Key West seafood before the stone crab season comes to an end. While much of the world is still thawing from another long winter, visit us in Key West for an early taste of summer. Here at The Paradise Inn, you can discover the best of the season change with an array of things to do in Key West Florida. There is a reason the Florida Keys are often referred to as the paradise that you won’t want to miss. Experience spring like never before in Key West!